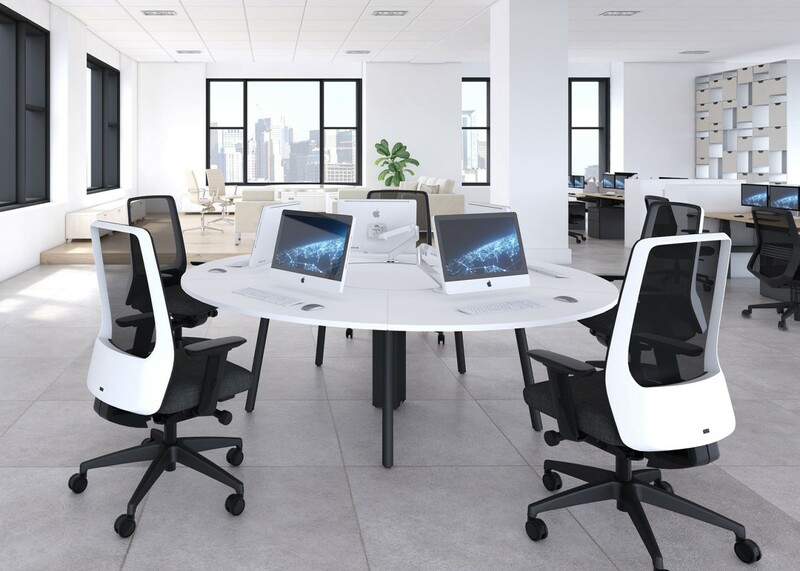 Versatile and highly functional, CIRC is an innovative desking solution designed to maximise the space within an open plan office environment. Based upon a substantial steel frame, CIRC is available in a choice of metal colours with a variety of worktop finishes. The top panels are divided into inner and outer segments, with a ring gap allowing for cable management and the mounting of desktop accessories. 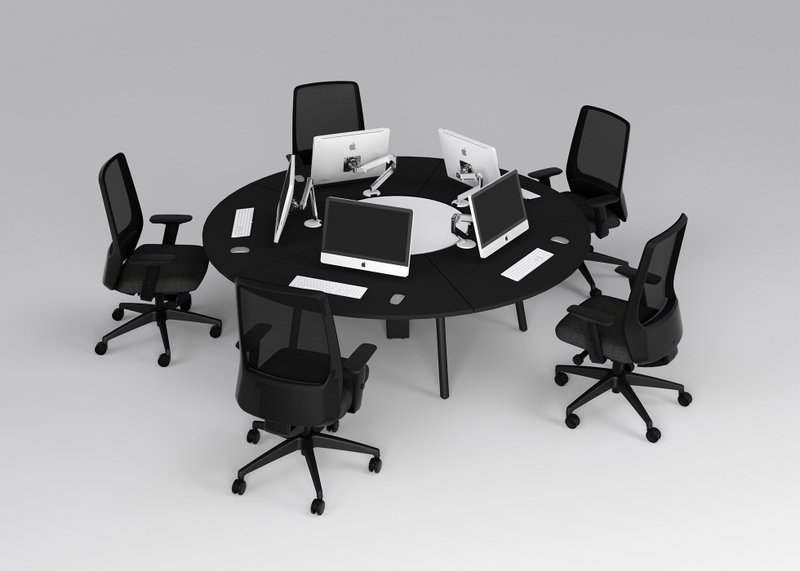 CIRC is available as a 5 section and 8 section workstation assembly, suitable for collaborative and flexible workspaces and encourages interactive communication for team-based solutions.